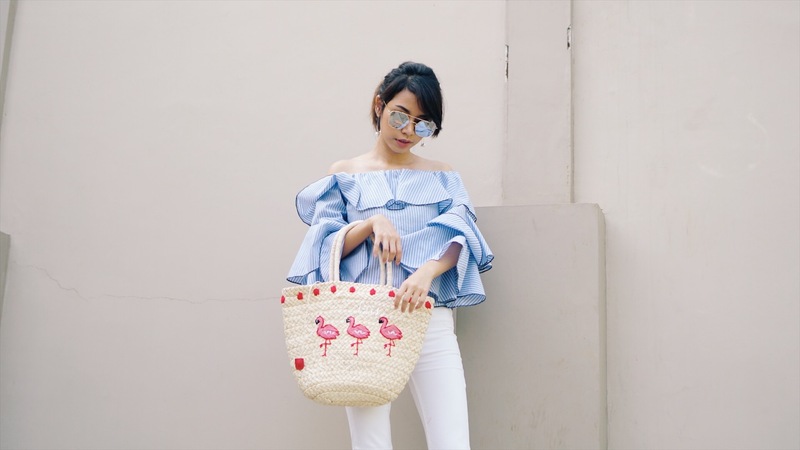 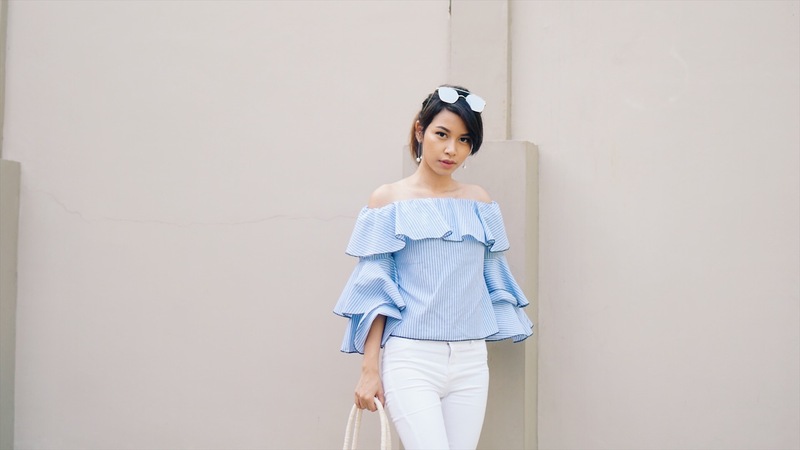 So glad that I found the perfect ruffles top that really fit with the season right now. 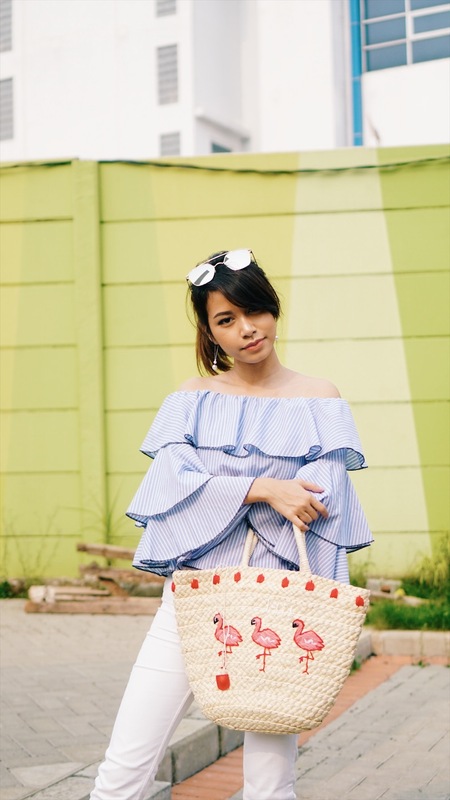 With a very cute design, striped off the shoulder, plus a bunch of ruffle layers, make everything look fun and playful for Summer time. 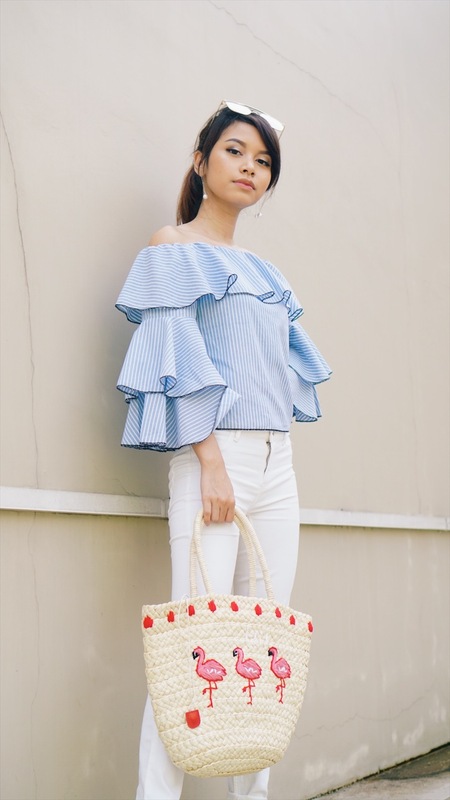 This top was on my favourite list when I saw similar design at some offline store and costs way way pricey (I was on a budget, you know). 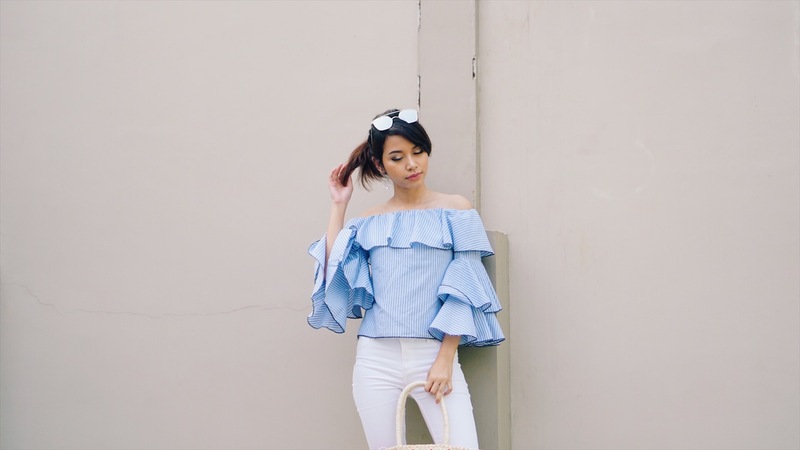 But hey, Sammydress has the exact ruffles top that I wanted with very affordable price! 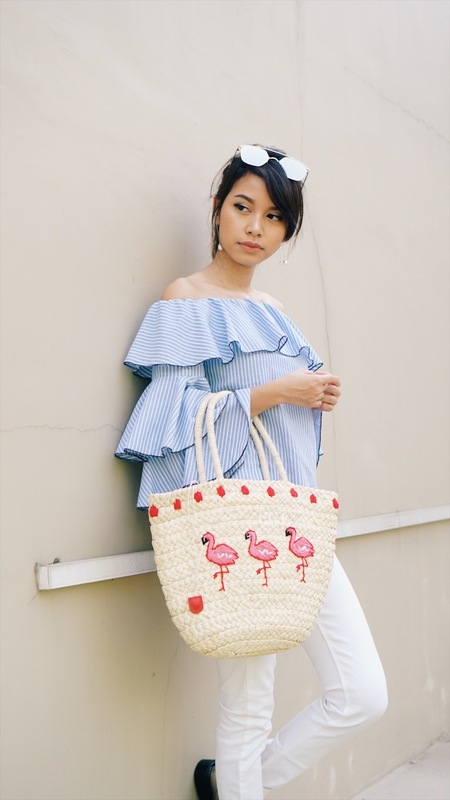 Not only that, I also got a very Summer-y bag, it's a woven bag in flamingo pattern, which I think it would be suitable for a picnic day.